The great, sadly late, Bob Marley sang, ‘don’t worry about a thing, ‘cos every little thing is gonna be alright’. Maybe Prime Minister, Theresa May, and the swamp creatures within her Cabinet alongside the likewise creatures sitting on the soft green leather at the Palace of Westminster feel that this is the way to run a country. 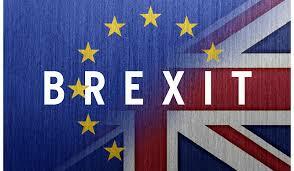 At times it is all that many business folks can draw upon as a modus operandi to navigate their way through the UK’s supposed exit from the EU. Fatigue is an understatement for the nation’s mood on how the political process has panned out. 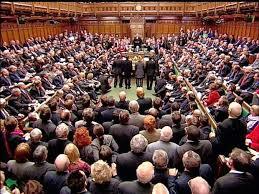 The term ‘national interest’ has been much used but totally abused by every shade of UK politician. And so who knows how things are going to progress but it is an exercise in mis-management of literally the highest degree. Due to that incompetence, the nature of any split and the time that is likely to take looks like it is going to be more costly, extensive and distracting than necessary. Whilst venting one’s spleen can have a modest if very temporary palliative effect, the reality is that the food & beverage industry in the UK has to operate within this chaotic environment. Indeed, through the extensive short-shelf life composition of many products, the food industry is absolutely at the forefront of the economic impact of UK-EU relations and, within the wider context, most particularly the positions of the respective industries in Northern Ireland and the Republic of Ireland, where one has to be worried that chaos could prevail. More broadly, food & agriculture are likely to be a central challenge for any trade deals that the UK engages within, if ever.., most notably the USA, where the Irish border, again, will be a key axis. Beyond all this macro-political and global trade ‘stuff’ it is important not to lose sight of real people, shoppers, consumers… Like me, maybe you, they are sick & tired of ‘Brexit’. Indeed, many have stoically got on with their lives despite the self-centred, attention grabbing and detached operating in the House of Commons. And those shoppers continue to display behaviours that represent considerable opportunities that it is great to see entrepreneurs in the UK seize upon and see-through. Most particularly is the shoppers’ appetite to pay more attention to what they are consuming. Good taste remains at the forefront of their behaviours, a simple human trait that is a key contributor of added value food – premiumisation amongst proprietary brand (PB) and private label food & beverage is, therefore, a structurally important underlying feature of the market. Good taste rarely is a function of chance though as opposed to the quality of ingredients, processes and the story around a product. 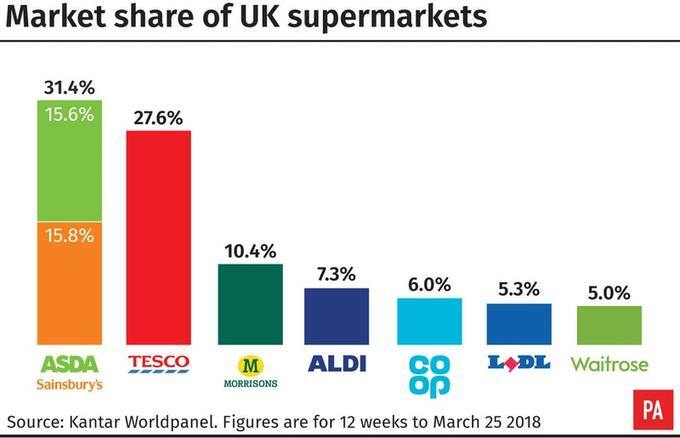 Increasingly, therefore, we see growth in the British food market revolving around a joined up story with new lines taking share from legacy brands that have overgrown and at times overstayed their welcome. Deeper into these market developments is a process that is now and will be more so in the future central to the prospects of shoppers, society and the food industry; well-being. Awareness around the nutritional composition of foodstuffs is rising albeit there is much more for public policy and the industry bodies to do to take matters a good deal further. 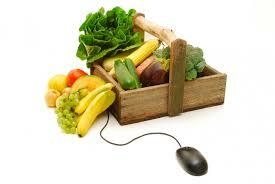 Such awareness, predicated upon curiosity, interest and need, is influencing behaviours around diet and health. We are not at the start of this journey but it has a long, long way to go, centred upon structural changes to nutrient consumption with less salt, saturated fat and salt and more protein, omega-3, and the constituents of fruit & vegetables, pulses and legumes. Beyond nutrients there is the level of engineering in food, simple is becoming more virtuous, natural is preferred to synthetic and then there are the issues that are driving vegetarian and veganism, which seems to be more about personal nutrients than animal welfare. Beyond food there is the matter of sustainability; how one man, an atom, changed the structure.., David Attenborough and plastic, doing in one television programme what environmental campaigners have worked for half a century on with lesser impact. So, whilst we sit amongst the stench of what appear to be rotten politicians in these Isles, small minded and what increasingly appear self-centred folks, there remain real decent people out there that need the British food industry to continue to meet their needs, continue to be entrepreneurial and to continue to innovate. A glance at a supermarket shelf shows how good taste, well-being and sustainability to mention but three are structural drivers of change, opportunity and growth that the UK industry is rising too and where the future appears bright. At Coriolis there is a team of folks that focus upon delivering cost leadership and manufacturing excellence that enable the concepts, ideas and products developed by British food entrepreneurs to also be generators of free cash flow and wealth. As the 29th March 2019 approaches here is to a competitive, innovative and entrepreneurial British food & drink industry whether our politicians are with or without us. Share "Three Little Birds…; Taste, Sustainability & Well-being by Dr. Clive Black"
The late Denis Norden made his name with his phrase ‘it’ll be alright on the night’. Each morning for some weeks and months now many of us wake in the knowledge that March 29th 2019 is one day closer, each evening we go to bed thinking.., but ‘it’ll be alright on the night’. Whatever colour political rosette one wears upon the lapel in these times it is simply an unacceptable political situation. The uncertainty and corresponding frustration of the business community surrounding the nature and extent of the UK’s economic relationship with the EU and the wider world in fact is now palpable. I spoke at the Oxford Farming Conference in early January about the Palace of Westminster being a tank where the fish are political lunatics. Six weeks on one is tempted to say that such a statement is a bit harsh on goldfish. It is remarkable that five or six weeks away from the UK’s exit from the EU, at the time of writing, that not a single person in these Isles knows how matters are going to pan out in our wider economic relations. 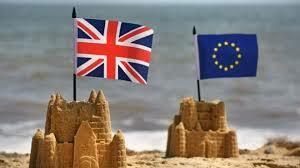 For businesses this is a real concern, particularly for those that are importing components or selling goods to the EU. One can plan for certain things, as many firms have done so with stockbuilding, but in fresh and short-shelf life food products in particular the capability and capacity to cost effectively plan in the face of such major uncertainties is nay impossible. Food businesses do not know whether or not tariffs and customs controls will be applied from April Fool’s Day. Ministers’ go from pillar to post on tariffs whilst the movement of goods across our international shores is a bit of a minefield to say the least. Logistics firms sit at the moment with mind-boggling confusion about how their vehicles may, or may not, move across the Irish and North Seas, never mind the English Channel. A hungry nation is a dangerous thing and the political powers that be know that. 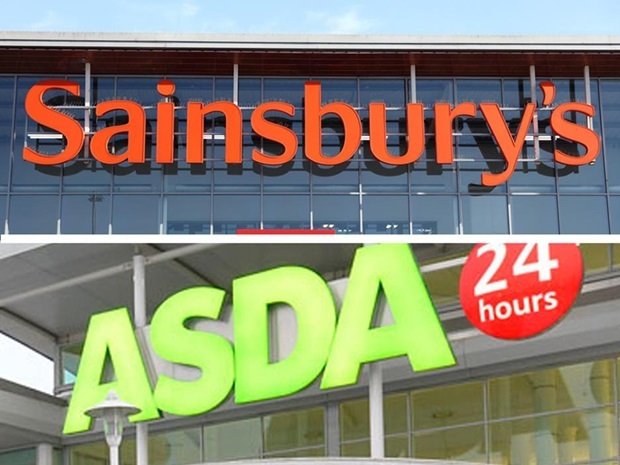 Equally though supermarket bosses, food manufacturers, farmers and logistics providers sit and watch with horror as to how an orderly food market will progress in April if there is a ‘no deal’ scenario. The scope for material food price inflation and even potential shortages of certain foodstuffs, noting that I do not expect empty shelves to be the normal, largely because of the ‘it’ll be alright on the night ‘ syndrome, cannot be ruled out as can the growing likelihood that the 29th March maybe abandoned as an exit date, with a can kicked down the road. Against this backdrop businesses may be keeping an especially close eye on their costs and cash flows. Small food companies in particular may need the support of a banking system that failed them badly in the last financial crisis should supply hiatus’ emerge, from the funds to build up stocks to the need to carry higher costs without necessarily receiving payment and recovery first. In this respect the sun will shine on April’s Fool’s Day and thereafter but an extra level of tactical nouse and agility could also be the order of the day for food companies in particular. Talking to suppliers and customers may also be a virtue so that over-planning and incurring unnecessary costs, rests alongside avoiding any obvious hurdles and barriers to trade. I wish all businesses well in this chronically ridiculous situation when all of the small-minded Members of Parliament swimming in the Palace of Westminster pool should hold their collective heads in shame. The ‘National Interest’ is an anathema to them all from the incompetent Prime Minister to the shameful Leader of the Opposition, the revisionist retainers to the rabid Brexiteers, whether Ulster, Welsh, Scottish or English. Quite what the future holds for this ‘nation’ remains to be seen. The 29th March is a day that will come and go, thereafter one senses that the political class will remain a source of instability and uncertainty for the business community; therefore a total failure of government and parliament. Accordingly, at the end of the day, let’s hope ‘it’ll be alright on the night’ and that more stable and brighter times can be ahead. To this end I wish you all well. Share "Political fog – Will it be alright on the night? by Dr. Clive Black"
Amazon is an amazing story. In a very short period of time this business has grown to be worth around a trillion dollars. A clear focus upon customer service backed up by a never-ending commitment to development, from the most complex advances in the digital technology world down to the most simple practical human assists, has underpinned the Group’s meteoric trading and share price valuation progress. Amazon has been an undoubted force for good for many shoppers. 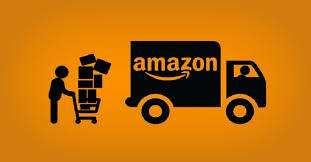 Time constrained, albeit largely richer when it comes to cash, Amazon’s enormous proprietary and wider market place platform, has helped millions of shoppers to quickly, conveniently and reliably purchase goods, with a service back up that is largely second to none. For the tech-savvy, particularly in the US, Amazon is a core part of folk’s life when it comes to buying goods and, increasingly, services. From a start in books and entertainment, the Group has deepened its penetration, now to be a generator of entertainment content – including Jeremy Clarkson (choose your own personal description of that character) – and moving from inanimate goods to the grocery sector. Groceries have not been easy for Amazon. We are pretty certain that the business would have expected to have been further on by now than when Amazon Fresh started its commercial life on the US West coast. However, as Ocado has found in the UK, when it comes to central picking of multi-temperature and deferentially taxed goods (i.e. alcoholic beverages) it is hard to make money. A clear focus upon customer service backed up by a never-ending commitment to development …… has underpinned the Group’s meteoric trading and share price valuation progress. Accordingly, whilst we have seen Amazon invest heavily into the grocery market, much of its capital allocation has been offline, not online. 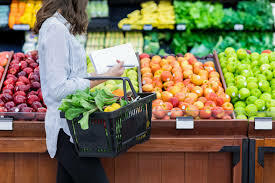 Indeed, we assert that the acquisition of Whole Food Markets in the US, with seven stores trading in the UK, was an admittance of the challenges of pure-play groceries and the reality of the stickiness of store-based grocery shopping. Amazon has further backed offline, albeit innovatively, through its Go store, which is a seamless transition from the digital payment industry to food shopping; time will tell if it works. Whilst all this is so innovative, so intellectual and so rewarding for Amazon shareholders and shoppers alike, not everything about Amazon has been so amazing and so virtuous. Indeed, it is now not unreasonable to assert that Amazon is becoming a victim of its own success. Furthermore, whilst Amazon is very clever in many respects, it is far from tuned in on many other fronts, particularly around its impacts. Many American and British shopkeepers will not have Jeff Bezos at the top of their Christmas card list, as he had led the charge of the online revolution; that is not to criticise Bezos & Co., as the digital revolution was going to be led by someone. However, some will complain that Amazon has perhaps advanced whilst others compete with one arm behind their backs. In particular, they will complain about his lack of interest in the taxman – the roads that millions of miles that Amazon’s vehicle utilise have rarely if ever been constructed with the aid of taxes from the Group. So much so, that Tesco’s CEO, Dave Lewis, is now associated with calls for the British Chancellor of the Exchequer, Philip Hammond, to implement an Amazon tax; a charge on digital sales. ….not everything about Amazon has been so amazing and so virtuous… whilst Amazon is very clever in many respects, it is far from tuned in on many other fronts, particularly around its impacts. Equally, there have been calls by trade unions and labour campaigners for sometime about the nature of Amazon’s labour process, also challenges about its regard for, or lack of it, for the environment; reflected in masses of plastic and cardboard utilisation amongst other things. In respect of the former, the very recent increase in pay for workers in the US and the UK is interesting, although whether or not Amazon believes workers paying more in PAYE in the UK represents a contribution to The Exchequer, remains to be seen. Amazon will continue to innovate and to invest. We also sense that the Group will retain a relentless focus upon its customers. Whilst this is so, the business is facing more scrutiny – see The Times investigation into perhaps questionable charity donations in the UK – and it is required to be more transparent and credible in its behaviour. In respect of the latter, there perhaps remains more to do from a business that in many respects has an everyday touch but in others is frighteningly detached, maybe arrogant and demonstrating hubris too? Whether Amazon has been through the zenith of its growth and achievement remains to be seen; it has been a remarkable journey to date. However, one senses that the authorities, the regulators, are starting to catch up with a business that has had a free lunch for a long time and maybe enjoyed it a bit too much. More discretion, humility and in-touchedness to its wider environment may have cut off what are likely to deeper and greater controls and constraints upon the Group than may have otherwise been warranted. 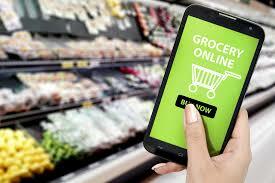 Amazon has dipped a toe into the British grocery scene and we expect further patient progress. We may yet see Amazon Go in London and other major British cities, we may yet see Whole Food Markets build out a little more, we may yet see a more material acquisition of a UK grocer. Whatever pathway Amazon takes hereon, we sense it will be forced into a more responsible and balanced approach. Share "Amazon.. is the ‘World’ closing in…? by Dr. Clive Black"